I’d been looking for a sipping drink for when I gamble for a couple of years. In December I took a week to experiment with the different brown boozes. I was on the Vegas Strip and sampled a variety of bourbon, whiskey and scotch. I did a lot of taste testing on casino comps while I gambled (see Vegas Chatter post) but paid for some top shelf liquor that was recommended and only available at bars and restaurants. The combination of drinking on casino comps and cash was an economically efficient way to try something I wasn’t sure I’d like. Over the week-long experiment I found that I really like Macallan. Macallan has become my go to brown booze to sip on when I’m gambling. I’ve been sucked into the brown booze world and now keep a bottle at home at all times. With that in mind, I had a little freak out when I saw the headline “The U.S. is on the Brink of a Whiskey Crisis“. Say whaaaaa?! It’s kind of my fault. With so many people trying whiskey and brown booze for the first time the demand is high and supply can’t even come close to matching it. Despite the increase in distillation over the past few years, bourbon demand still outpaces supply. The overall bourbon category is experiencing 5% growth, but premium brands are up nearly 20% from last year… The increase in sales, coupled with the aging process and evaporation loss, leads to a shortage with no end in sight. Furthermore, as distilleries increase output the quality of the whiskey goes down. This happens with most industries but as it pertains to whiskey this may lead to shortages and hefty price increases. This is a serious problem and it seems as though it won’t be corrected any time soon. 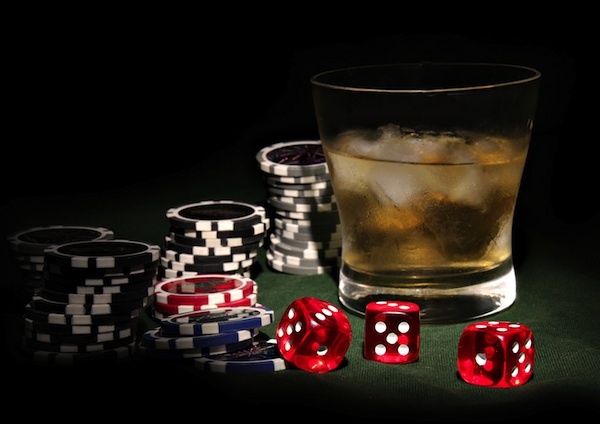 As it relates to Vegas casinos you can expect quality of whiskey offered as comps to decrease. I won’t be surprised if Planet Hollywood no longer comps Macallan (12) by the time I visit again. I’ll have to look for some less expensive alternatives to sip on when I’m in the casino. Feel free to shoot over any recommendations. I’m always keeping an eye on alternatives.